Goodness! 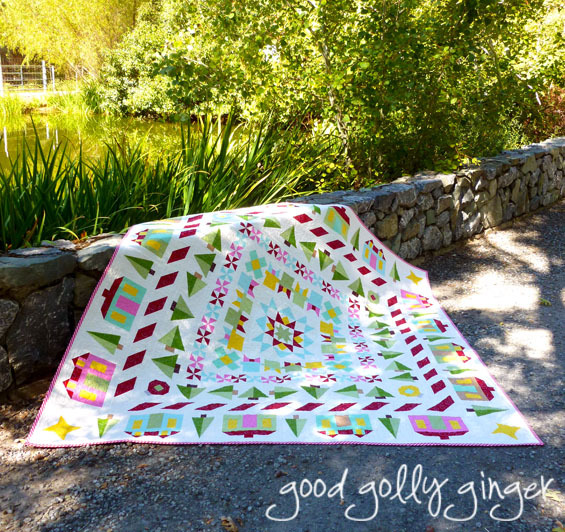 We had to feature this amazing quilt by Katie from Good Golly Ginger. Seriously how cute is this? 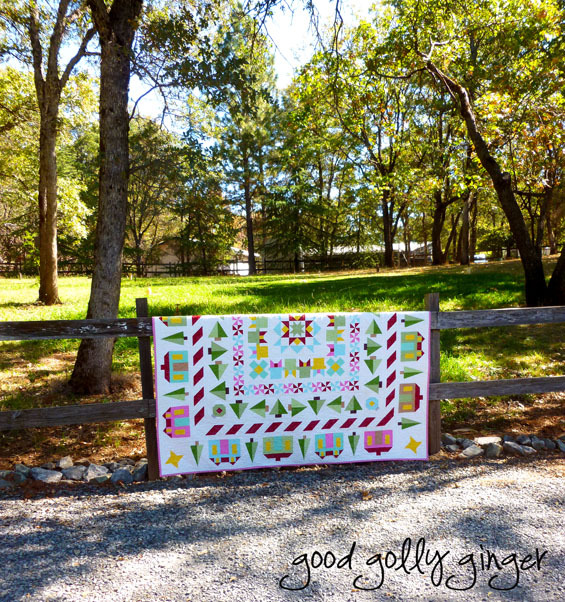 She created this quilt, and is finishing up writing a pattern that she will soon have for sale. 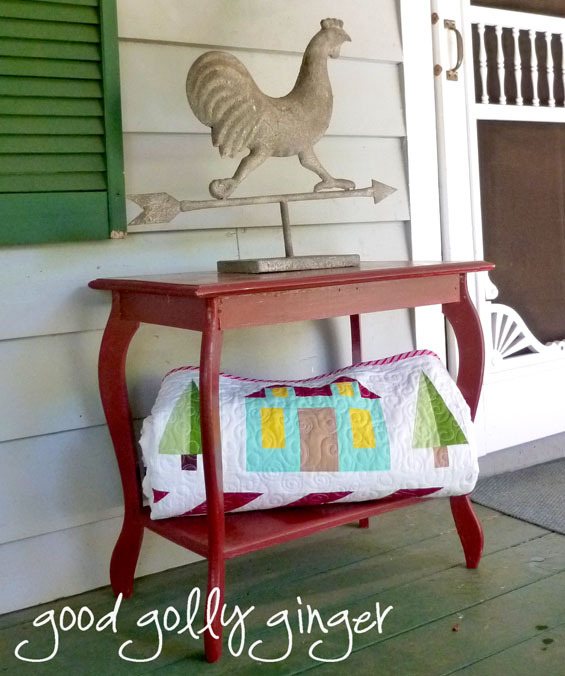 If you want to see more beautiful creations, with beautiful photographs, be sure to check out Good Golly Ginger regularly!!! Home For Christmas Medallion Quilt Over the weekend, I put the finishing touches on my new Home For Christmas Medallion quilt. I used Kona Cotton solids for all of the piecing. Please ignore the horse manure in picture below. Yes, I will step in horse manure to get the perfect lighting for a photograph! It was worth it! 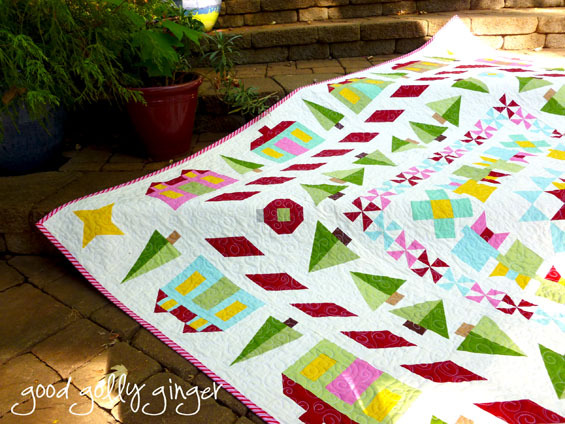 I love a quilt all rolled up. It's a bundle of happiness just waiting to be used. The center star of the medallion is three concentric stars. This is surrounded by presents with colorful bows. The next border is peppermints. Christmas trees and corner ornaments surround the peppermints. 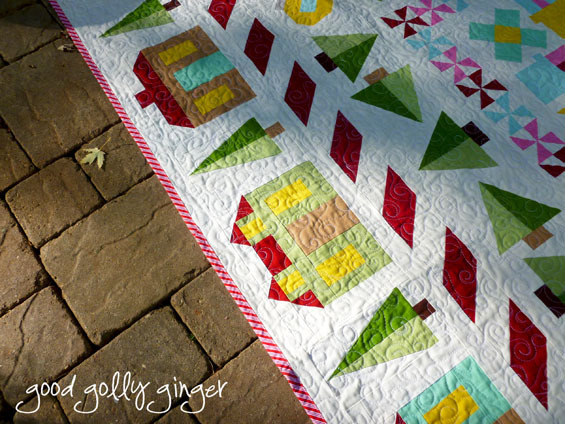 A candy cane border surrounds all those Christmas trees. 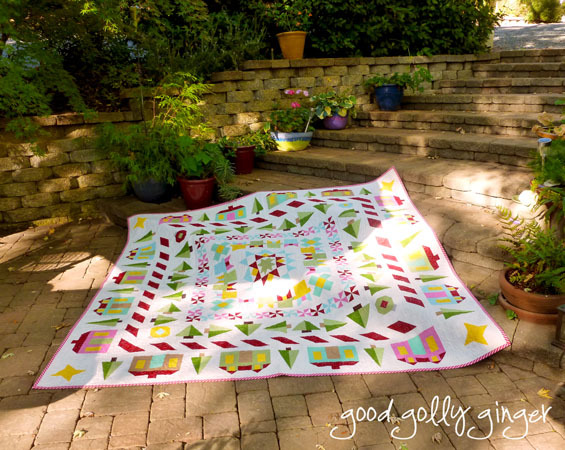 Finally, a border of bright suburban houses finishes the quilt with corner friendship stars. 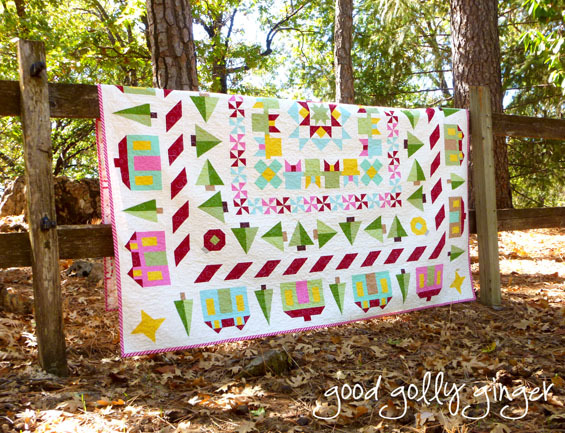 I love that the quilt doesn't scream "Use for Christmas ONLY". It is more subtle, and I can use it for the entire winter season. Frankly, I'm sure this will stay in my living room year-round! I free-motion-quilted the quilt with an all-over swirl design. It took seven bobbins of Isacord thread and two spools to finish all the quilting! The binding echoes the candy cane border. That is just beautiful and the colors are wonderful for year round use. That quilt certainly should be featured everywhere. Katie rocks! I absolutely love it. It would be in my living room year round. Oh do I love this!!! Great quilt! Such a beautiful quilt! Great Job!